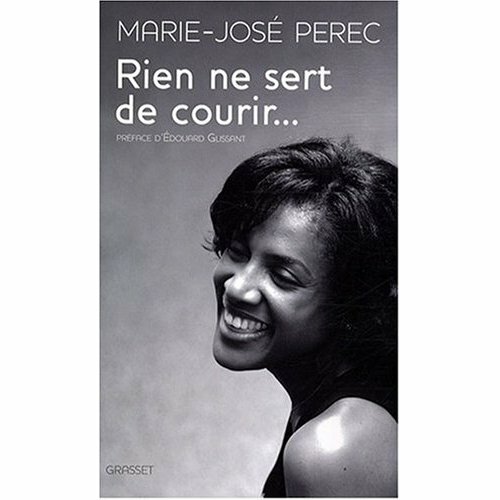 Marie-Jose Perec, or Mary-Jo to her American fans (if she has any left) has published an autobiography. I have only read the extract which was buried away in the back of L’Equipe Magazine a week ago. But since it recounts her flight from the Olympic Games in Sydney 2000, ie the part that everyone remembers, then I feel obliged to comment, the more so since I had a walk-on role in that affair, which may help to shed more light on one of the strangest incidents in the annals of the Games.  The title of the autobiography is Rien Ne Sert De Courir, which translates as There’s No Point In Running. I would add Away at the end, because that is the gist of what Perec did in Sydney, although in her book she tries her best to suggest that she had little option. Pérec, 40 last month, is one of the most accomplished athletes in the history of the sport, with her two successive Olympic 400 metres golds, and the 200/400m double in Atlanta 1996, something she had already wrapped up fifteen minutes before Michael Johnson did it, to considerably more acclaim. She also won two world golds at 400 metres. However, Pérec also has a reputation for being contrary or being her own woman, depending on which side of the track you’re sitting. Or to put it less charitably, she is, as one of her former coaches, Jacques Piasenta said when she ignored his advice once too often, a ‘diva’. Now you don’t need to be an opera fan, to know that diva basically means a pain-in-the-a–! Piasenta’s considered opinion came after what turned out to be a distant dress rehearsal for Sydney. The diva had failed to turn up for the 1994 European indoor championship in Paris, and even French TV was angry enough to show her empty lane at the start of the heats. Something, incidentally that Aussie TV did repeatedly with glee in Sydney, since it left the track open for national hero Cathy Freeman to waltz to victory in the Olympic final. Whereby hangs some of the tale. Following the Paris farrago in ‘94, Pérec decamped to Los Angeles, to train with John Smith’s group. But following her Olympic double in ‘96, she ran into the buffers of illness and injury, and failed to register much of anything in the next three years. Then, out of the blue, at the start of Olympic year 2000, she quit Smith, to go and train with Wolfgang Meier in Rostock on the Baltic coast of Germany. If I tell you that Rostock used to be in East Germany and that Meier was the husband/coach of the celebrated Marita Koch, you might get some idea of the shock that this move engendered. Because Pérec had never made any secret of the fact that she (and pretty much everyone else) considered Koch’s extraordinary 47.60sec for 400 metres (in 1985) to have been drug-fuelled. Anyway, Pérec justified that move as easily as she has now (again) justified her flight from Sydney. But back in early 2000, this was an amazing tale, and I persuaded my editor to send me to Rostock to interview Pérec. Although it was one of the most extraordinary interviews I’ve ever conducted (and a German colleague who’d driven me to Rostock was of the same opinion), for a variety of reasons, the paper didn’t carry the piece. Until Pérec defected from Sydney. Then, harking back to my visit at the start of summer, I began my article as follows. ‘DRIVING away from the Baltic port of Rostock recently, having interviewed Marie-José Pérec on her quest for a fourth Olympic gold, the first inclination was to phone my bookie and slap 50 quid on her. Rarely had an athlete acted so buoyantly, so confidently, especially after enduring so many problems. That a good number of those problems had been of her own making did not seem to concern her in the slightest. Yet that bravado, as anybody with half an eye on the Olympics will know, disintegrated spectacularly last week when Pérec, claiming that she had been threatened by a man claiming to be delivering a package to her hotel, flew the coop. Now, in last week’s account in L’Equipe, Pérec trots out all this ‘intruder’ stuff again, and in greater detail., as well as a full-frontal assault on the Aussie media, as agents of Freeman. And so on, and so on. And so on. All of this, and yet, what’s Pérec doing nowadays, almost a decade since her last serious race? She’s working for the media, as a television commentator on major championships. However, back to Sydney, and here’s something that tends to get overlooked. Prior to the Games in 2000, Pérec had only had two moderately successful races, at 400 and 200 metres. Those had been her only international races since winning in Atlanta four years earlier. No wonder she was paranoid at the prospect of meeting Freeman on home turf, a Freeman who had come on measurably since taking silver behind Pérec in Atlanta. In the L’Equipe extract, Pérec hardly comes across as a model of self-awareness, albeit towards the end of her account, she writes, ‘Even now, it’s impossible for me to recall whether this is a true account, or whether I’m exaggerating what I went through’. That started me thinking on whether my own memory was playing tricks on me, and maybe I was being unfair on Pérec. I decided to canvass the opinions of a couple of international buddies. The first is the long-time track and field correspondent for one of Australia’s leading dailies. “No one threatened Perec,” says my colleague. “No one knew where she was staying, and no one, except a few specialist athletics journos even knew who she was or what she looked like. And the closed circuit cameras did not detect anyone doing anything irregular on her floor or within the hotel at the times she said she had been harassed. It was a fabulous fiction. There were a number of TV docos put together about Pérec and everyone came up with the conclusion she was just freaked out”. To complete the picture, I contacted a colleague of equal long-standing at L’Equipe (the newspaper rather than the magazine), someone who has known her all her competitive life. Was I wrong, I asked, to believe that Pérec’s account smacked of rampant paranoia? Came back the reply, ‘No, you’re not wrong at all, she’s still completely paranoid’.